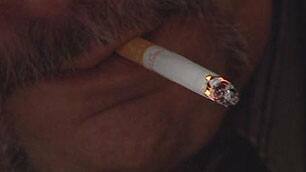 An anti-smoking group says their research shows tobacco users are clogging up Quebec's hospitals. The Coalition québecoise pour le contrôle du tabac says eliminating smoking would free up a third more hospital beds - and save the health care system almost a billion dollars. Daybreak spoke to Pierre-Yves Crémieux, an adjunct professosr of economics at UQAM, and co-author of the study.